Columbia City is a beautiful and diverse neighborhood located in Seattle’s Rainier Valley, only a few quick stops from downtown Seattle on the city’s Link Light Rail.The New York Times writes that “Columbia City feels like a microcosm of the city itself,” a claim supported by this unique neighborhood’s eclectic mix of shops, restaurants, businesses and entertainment options. Columbia City has much to offer its visitors including 17 restaurants, multiple stores and boutiques, a theater featuring live music and comedy, a cinema, an art gallery, and more. 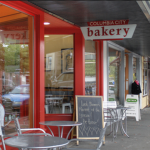 Columbia City’s active and vibrant community is the perfect spot for any event! ← March 28th: Seattle’s Latin Fiesta!